Are you someone who needs a quick and convenient way to stay in touch? 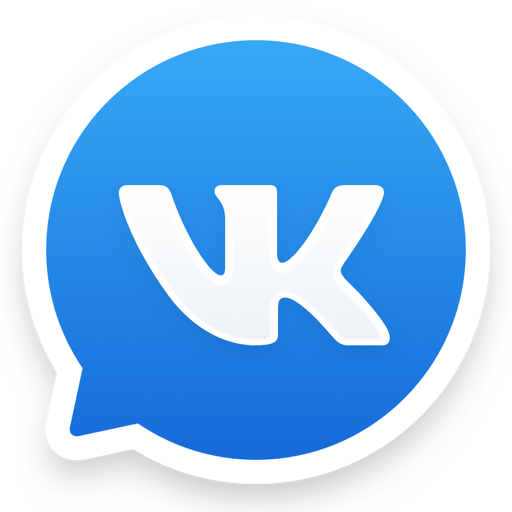 Then VK Messenger is the app for you. Ideal for communication, effective for work. 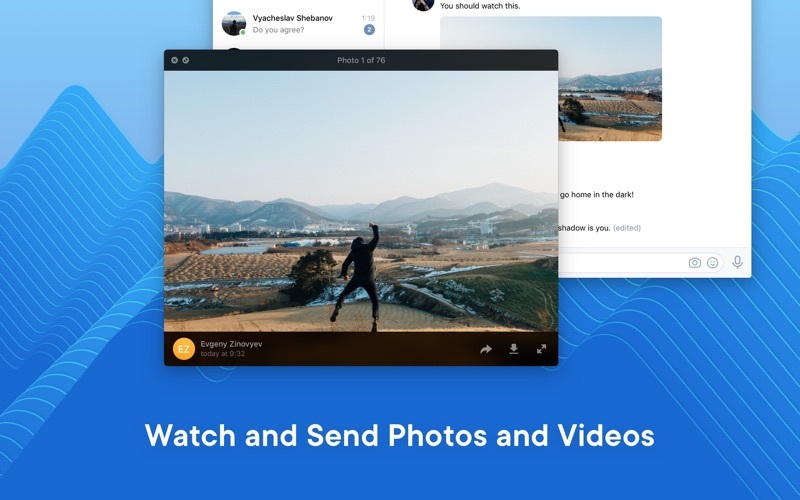 Communicate better with VK’s dialogue features: chat with friends and colleagues, share photos, send documents and voice messages. 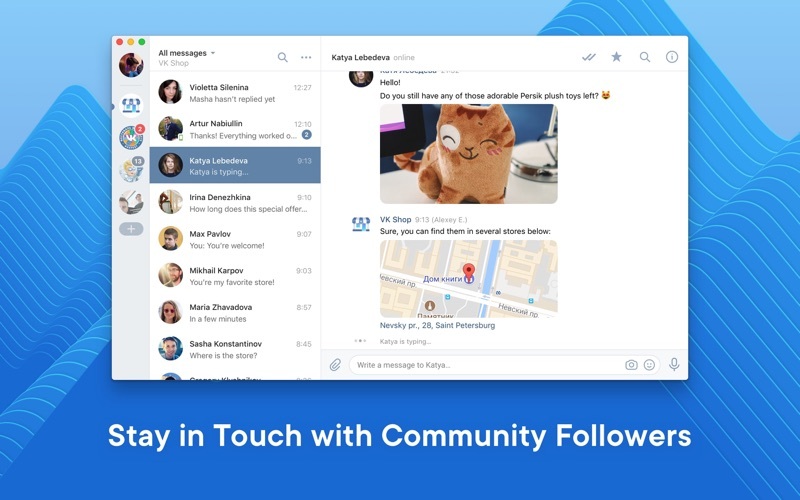 Community managers can enable messages for groups and public pages. Flexible notification settings allow you to keep in touch with your followers and clients and not miss anything important. Express an even wider range of emotions on VK Messenger with brand new Emojis. 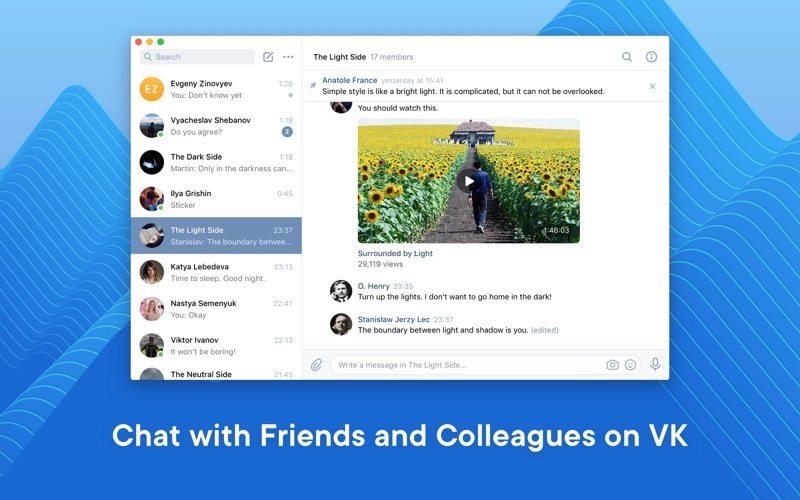 Secure calls on the messenger are out of beta testing. We have improved their quality and added new features. • Call friends and family using the newly updated voice and video calls. End-to-end encryption ensures call security. 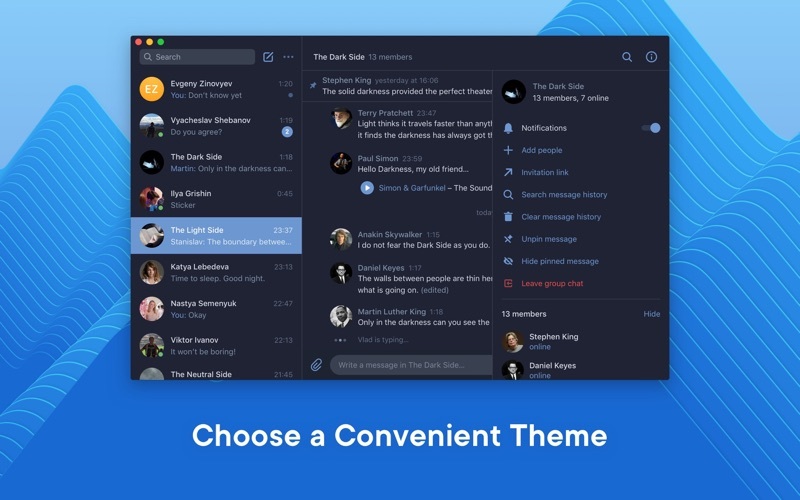 • Share your screen to easily work together on projects and discuss ideas. 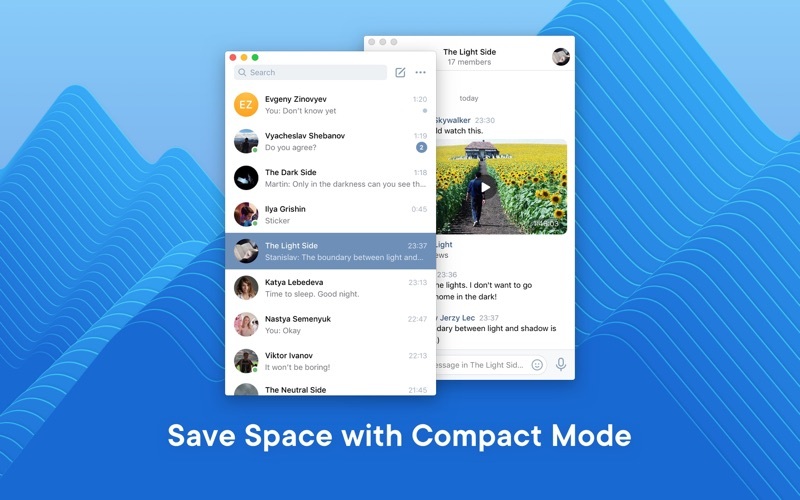 • Minimize calls to use other features of the messenger.